Even with countless antennas pointing in all directions, most consumer-level routers can’t create a wifi network that covers every last corner of a large house. 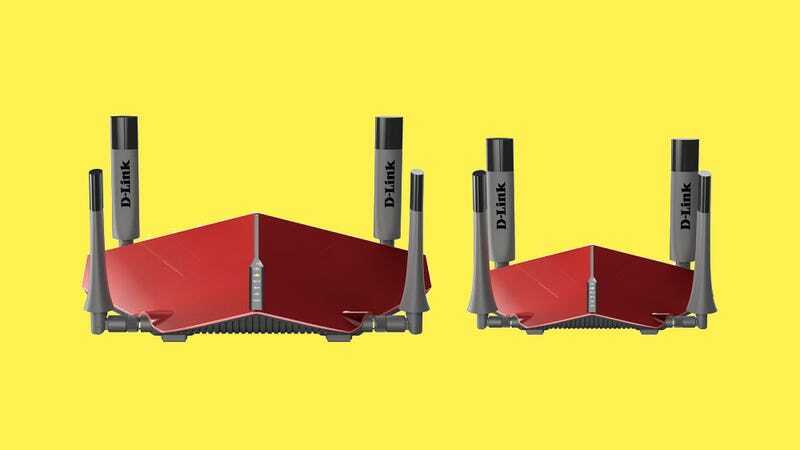 So instead of selling you a wireless extender once you realize that, D-Link now has a kit with twin routers that guarantees comprehensive wifi coverage from day one. The Unified Home Wi-Fi Network Kit is D-Link finally admitting that today’s McMansions are too large for even an expensive home wifi router to provide complete coverage. So for $370, available sometime in the second quarter of 2016, the company has bundled its AC4300 Tri-Band MU-MIMO Wi-Fi Router, and its AC1300 Gigabit Wi-Fi Extender, so that consumers can finally ensure that their wifi network, even in those distant back bedrooms, is rock solid from the moment it’s up and running. The other advantage to having a pair of wireless devices designed to work flawlessly together is that the D-Link Unified Home Wi-Fi Network Kit can ensure that whatever’s connected to your wifi network will talk to either the main AC4300 router or the AC1300 extender depending on which can provide a better signal at the time. As you move from one area of your house to another the handoff between the D-Link devices should happen without a hiccup, and they’ll even work together to ensure the network load is automatically balanced across the various wireless bands they support to minimize slow downs. Most importantly, though, is that these bundled devices are designed to talk to each other right out of the box. So setup should be easy enough for even your parents to get it running on their own—if you’re so lucky.